I have written blog posts on a whole variety of subjects, but today I write, not about an idea or issue, but about a man. He is a man who can tell a story and who has a handshake that can break your hand. Some years ago he promised me he would give me the world. He continues to make good on that promise. In fact, he has done so many times over. He understands hard work, he understands failure and success, he understands sacrifice and honor. He doesn’t have a college degree, but he is an avid reader who has pursued history, politics, war, scripture, astronomy, electronics, theology, and classic fiction. When I was a school girl, decades before we met, he enlisted to serve his country in the United States Navy, training in aviation electronics. In the mid 1960s he served in the Navy, much of the time aboard the USS Coral Sea. 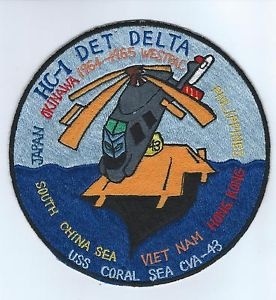 He was assigned to HC-1, a helicopter squadron whose crews performed sea-air rescue operations in the Gulf of Tonkin. When he got back from Vietnam, no one came to meet his ship. He is the kindest man in the world, but a rough cut gem. He doesn’t always weigh his words before they leave his mouth. The most notorious example, sitting at the dinner table with his parents after he returned from Vietnam, he told his mother to “pass the f-ing butter.” When he saw the look on her face, and remembered he wasn’t aboard ship anymore, he said “oops.” He worked harder to never say that again. He built a race car with a friend and once rode his motorcycle from California to Arizona in the pouring rain. He learned about the hard work and long hours of running a restaurant while yet in high school when he had the job of cleaning the restaurant his parents owned and operated. 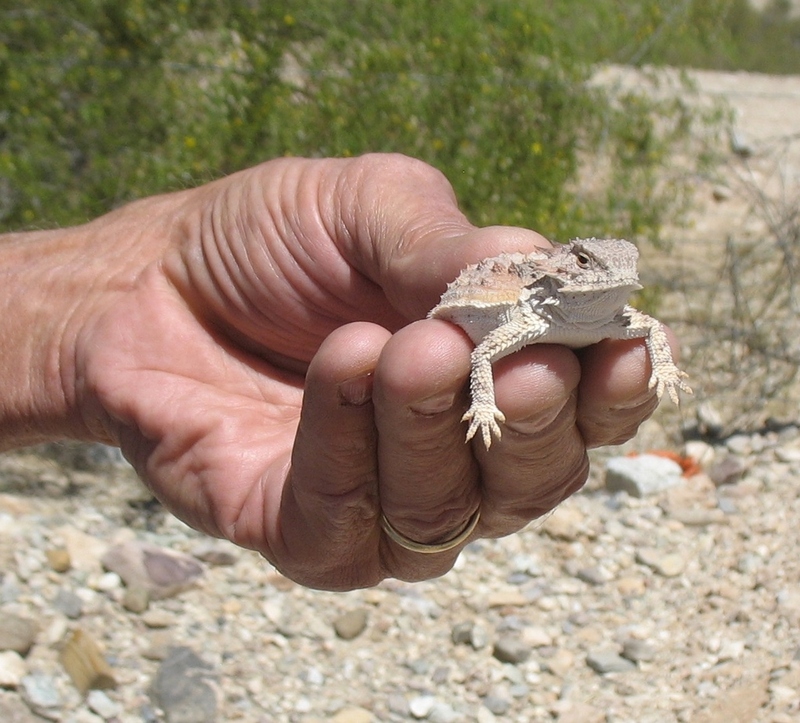 His working career has spanned decades in Tucson. Mention of the fourteen years he worked for Tom Brown in Burr-Brown still causes him to wax poetic. 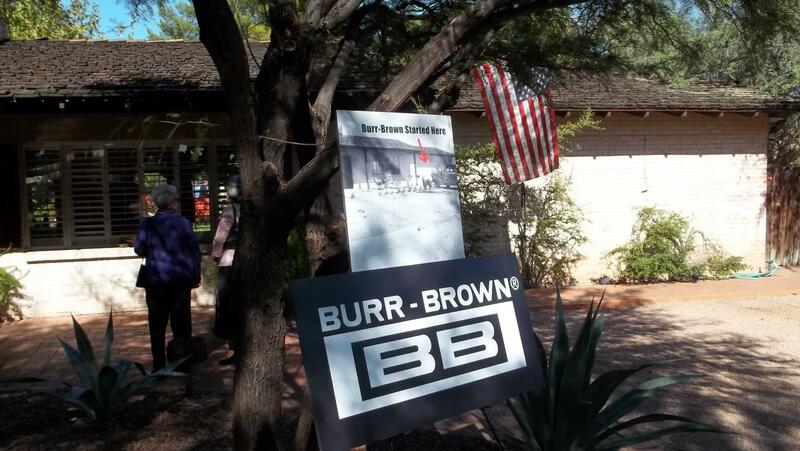 Started in Tom’s garage, Burr-Brown was sold to Texas Instruments and was the largest business sale to date in the state of Arizona, approximately 7.6 billion. When we reminisce about the best and worst bosses we ever had, Tom is always at the top of Ron’s list of the best. He studied to be a deacon in the Roman Catholic church, and was approved to be ordained a deacon, but at that time, with a wife and two young daughters, he withdrew and did not pursue it. It would have meant that the Bishop could assign him to any church in the diocese and he was not in a position to be able to move his family. When we were corresponding long distance before we got engaged he told me that there is nothing that I cannot ask him or talk with him about. He has been true to his word. Some people say that, but when you wade in, you find the beach littered with land mines. He is not like that. He has wiped away many a tear, and manfully dealt with lots of baggage that has come with this woman whose biggest sorrow in life was that she failed in her first marriage. He isn’t threatened or angry or hurt when I cry over the loss of someone else. He is thoughtful in surprising ways. When we moved into our house in Arizona, and I set up a room for my daughter when she is able to be in town, he suggested that it would be a good thing if I would put a picture in there of my daughter’s family: a photo of my daughter and her dad and me. Was he threatened? Not a chance. He just thought it would please my daughter. I asked her and she loved it. Amazing. It had not occurred to me. He is mischievous, outrageous, plays well and loves to act up in public. He doesn’t get perturbed when I cry at a sappy movie, or a touching song, or for no known reason. He just calmly asks me to tell him about it. He brings me treasures, like frogs to see, and laughs at me when I get too serious. When watching politicians he tends to forget his manners. When asked to jump he just asks how high. He is fiscally conservative and has never replaced his ancient Rolex which he bought as a young man when making an impression seemed important. We know that we would never have been interested in each other then and give thanks that we have each other now. He is not made uncomfortable about big picture dreams: what you would do if you suddenly discovered you inherited a huge sum of money. Weirdly our thoughts on that subject dovetail nicely. Still, when I grouse about a job I dislike he reminds me that it is temporary, tells me to be brave and just do what we have to do. We talk about everything, so we have a plan. We work the plan. 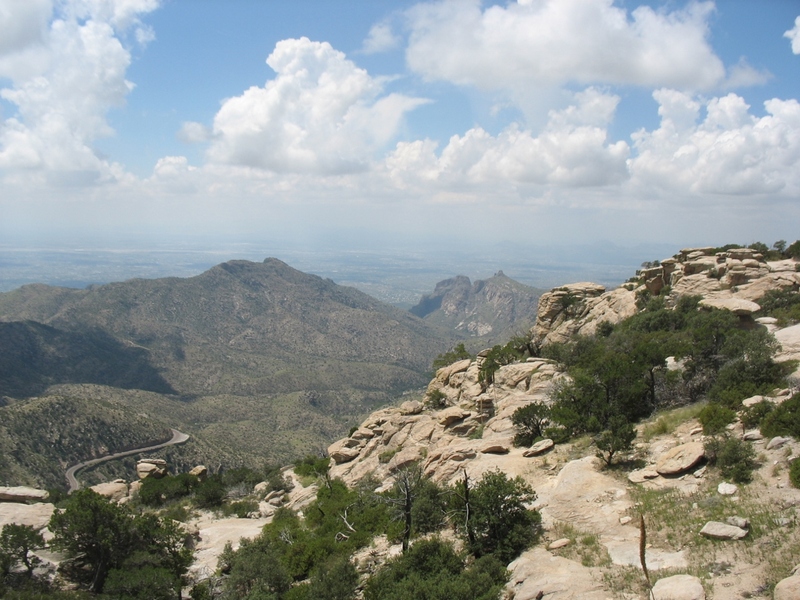 He has expanded my world by teaching me about the stars in the sky and explaining about the wonders of the Sonoran Desert. Sometimes I catch him looking at me. After our six and three-quarter years of marriage, I love how he notices me. How his eyes light up when I walk into the room. 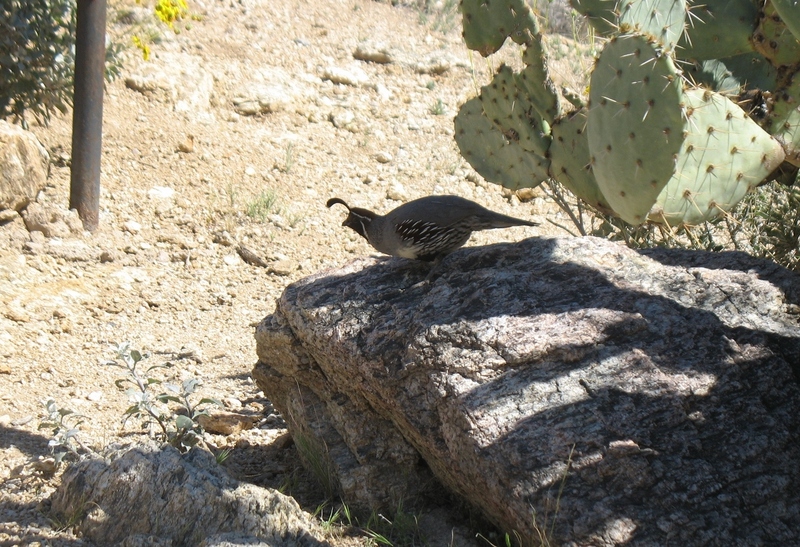 We love picnics together, although I have learned that his attention will wander to the Quail, Ground Squirrels, and Roadrunners looking for hand outs. What a soft touch. He can swear like a sailor, but he thanks God every morning for blessing us with another glorious morning. I love this man and we pray for 23 more years together. We have so many conversations we haven’t finished and trips we haven’t taken. A few of the subjects: childhood friends, the soft hearts of our fathers, creation and miracle stories, the Roman Catholic Church and Protestant Churches, cities we’ve lived in or visited, Rome, marriage, wars and rumors of wars, wounded veterans, politics, astronomy, America, dogs and cats, hawks and white winged doves. We haven’t finished taking all the trips we have talked about to see family and friends, to show me places where he used to hunt, to visit national parks, to take another picnic. Besides which, there are still paintings he has yet to create. His two daughters are now remarkable women: both are loving, funny, and kind – of whom he is very proud. Every day I start the day by praying that God keeps us safe and brings us home to one another. We have no idea what the future holds. No one does. But this man, is a treasure, and I am so glad he is holding onto me. I am such a fool. Every day I find that I was wrong the previous day: I do love him more today. This entry was posted in Animals, Family, Friendship, Marriage, War and tagged Creation, Desert, Freedom, Love, Marriage, Memories, Picnic, Prayer, Thoughtfulness, Veterans, War. Bookmark the permalink. Such a lovely letter of love to Ron!! Thanks, Nancy! He is a good man, and I am thankful to be his wife!